Do you want to be seen as a compelling leader? If so, you may want to work on your “executive presence,” the ineffable but powerful concept that fuels top leaders’ success. “There is no universal definition of executive presence, which is what makes it so elusive as a concept,” says Nick Marsh, managing director of Harvey Nash Executive Search Asia Pacific, an executive search and leadership consulting firm. But most people know it when they see it. 3. Bolster your communication skills. One of the most critical elements of executive presence is your ability to communicate your ideas, especially through public speaking. “Find your individual style by working on your content and delivery,” Marsh says. “You can work on listening, maintaining composure and reacting quickly.” Practice your body language and eye contact, so you become comfortable in front of a group. 4. Recognize cultural differences. “There are distinct cultural nuances to executive presence,” Marsh says. “For example, in the West, people are encouraged to be assertive and forthright, whereas in the East, people are encouraged to blend in, rather than stand out.” That’s why it’s so important for leaders to learn to read a room and understand the signals others are sending out. 5. Play to your strengths. When it comes to executive presence, Marsh says, “Many introverted people feel they’re at a disadvantage, but you can have strong executive presence and be the introverted type. Executive presence doesn’t mean you have to be the most extroverted person in a room. Quite often, it’s the exact opposite. Executive presence is being the person in the room that people gravitate toward, and when that person makes a remark, everyone else is quiet, since they value their thoughts and respect them.” Emanating a fundamental comfort with yourself and others is a true sign of executive presence. 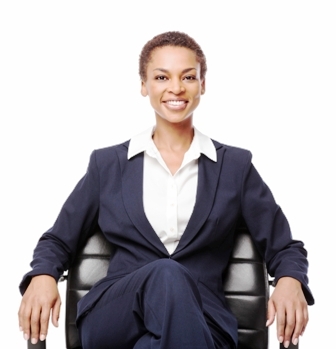 What steps will you take to cultivate your own executive presence?